A substantial donation of railway insulators has recently come into the Galloway's collection. In total, the collection has almost 100 unique insulators! The production of insulators created such a wide variety of different types each with their own truly unique name such as - beehive, pony, whittle mold, withycomb, barrel and toll. Be sure to check out the new insulator display next month to see this one of a kind collection. 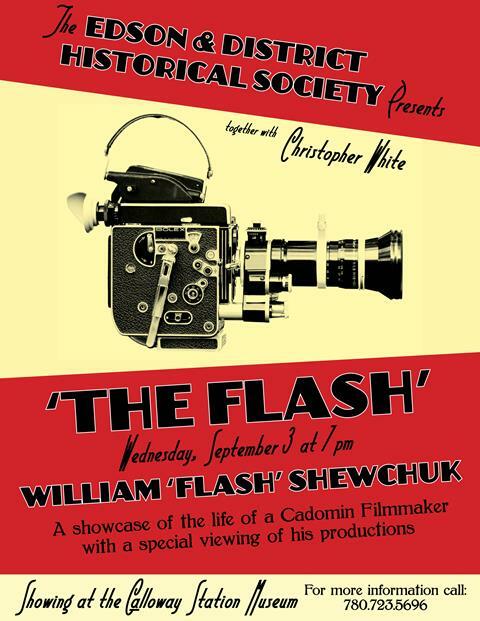 Prepare yourself for an evening of intregue, history, technology and comedy as the Edson and District Historical Society and Christopher White presents- The Flash- A showcase of the life of a Cadomin filmmaker with a special viewing of his productions. William Shewchuk was originally a miner turned photographer in Cadomin who would later pioneer 3D motion pictures in Alberta in the 60s and 70s. This is part of the Galloway's monthly event series and will be held on September 3rd at 7 pm at the Galloway Station Museum. 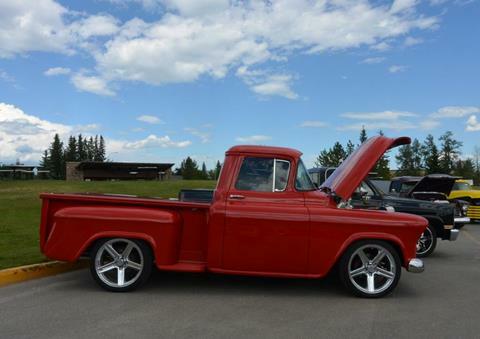 Last month, the Galloway hosted a show and shine with 40 vehicles. When staff had first planned the event, it was a small group of vintage car lovers from Mayerthorpe that were bringing their vehicles to the museum for a day. After the word got around, the original 4 to 6 cars turned into 40 with the Hinton, Jasper and Edson car clubs coming out for the event. The Galloway and the Town of Edson hope to make this an annual event held on the last Sunday of July. A large selection of photographic prints from Andrew Lewis are now available for purchase at the Galloway Station Museum gift shop. 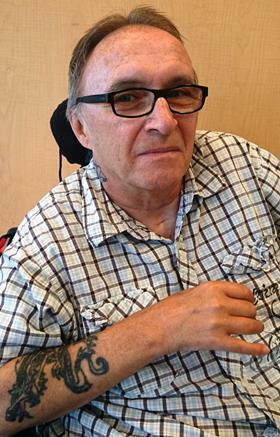 New to the area, Andy looks forward to becoming part of the thriving arts community here in Edson. One of Andy's prints- 'The Beekeeper'. The Galloway's model railway display has been recieving many new additions over the summer, including a dozen vehicles- thanks to our volunteer model maker Howard Bouldry. Pictured above is a school bus he made.